The hand-painted sign showing two bridled horses does not point towards a fancy place. Turning down this stone driveway off the main road through Las Nubes will not deliver you to a state-of-the-art equine training facility. Nor are these lush pastures described in any Lonely Planet guidebooks. Yet, the animals grazing these hills speak volumes about the culture of Costa Rica’s Central Valley, where horses are not just historical throwbacks but remain essential for work, getting around and showing off in distinctly Tico style. About 5 km from the school “Coronado a Caballo” offers informal, very affordable “cabalgatas” ( trail rides), based out of a modest stable with 50 or so well-cared-for horses, frequented by Ticos much more than foreign tourists. The Costa Rican saddle horses raised here are colloquially known as “criollos,” descended from Spanish and Peruvian breeds. Some are trained to make impressive, dance-like movements, with dramatic knees and dropped noses, like someone who sees a spider in every step. The trail horses are less flashy, with smooth sure-footed gaits even in rough terrain. The hills and farms east of our Coronado campus certainly qualify. While only a short distance from the most densely populated and urbanized cities in the country, much of the highlands are still only accessibly by horse, motorbike or 4×4 vehicle. 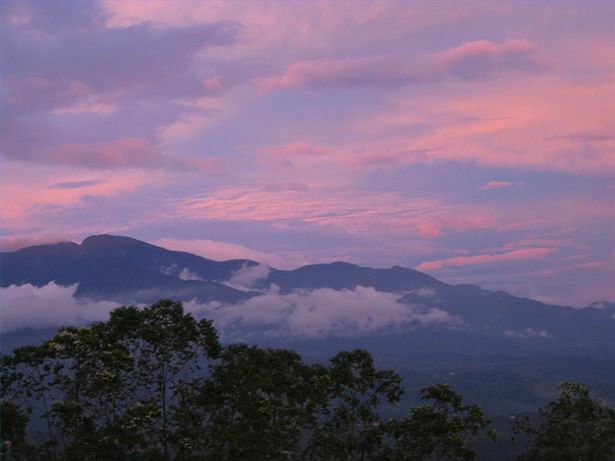 The road to Las Nubes disintegrates into skeins of rock and mud about 10 km from the school as it passes near the edge of Braulio Carrillo National Park. 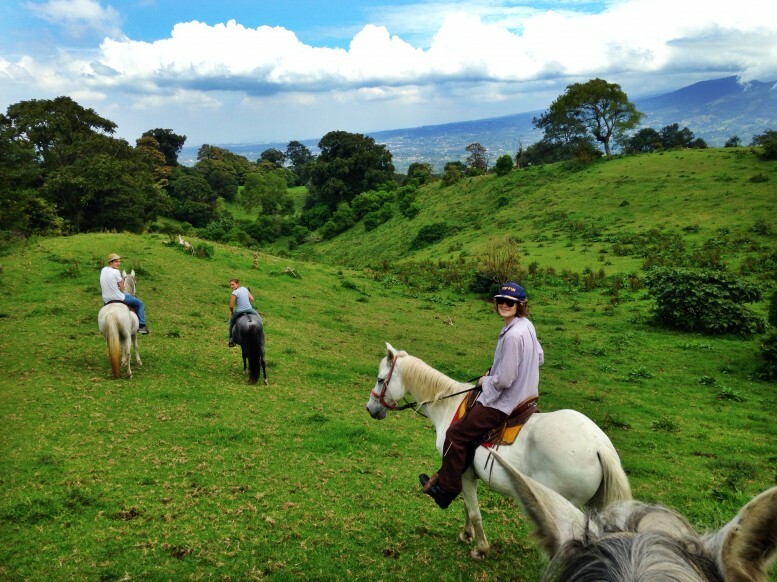 Horseback riding provides unique panoramic views of the Central Valley below, the Cordillera Central mountains and cloud forests above. Plus that sense of freedom and possibility that for whatever reason, only seems to come when you’re a meter off the ground on the back of a trusty horse. The light and the land in Coronado, San Jose, Costa Rica.